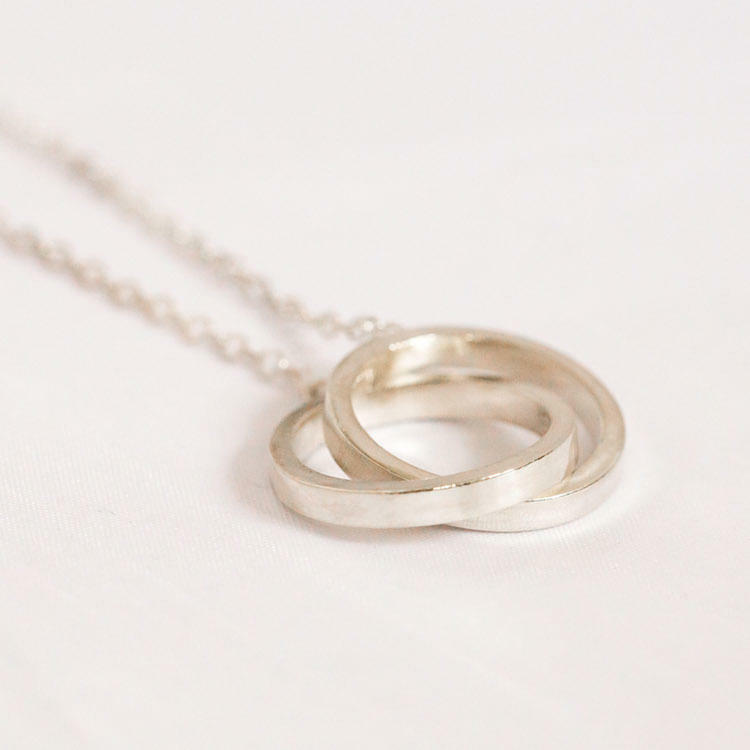 Handmade necklace with two Interlinking rings made from rectangular eco silver in South East of England. 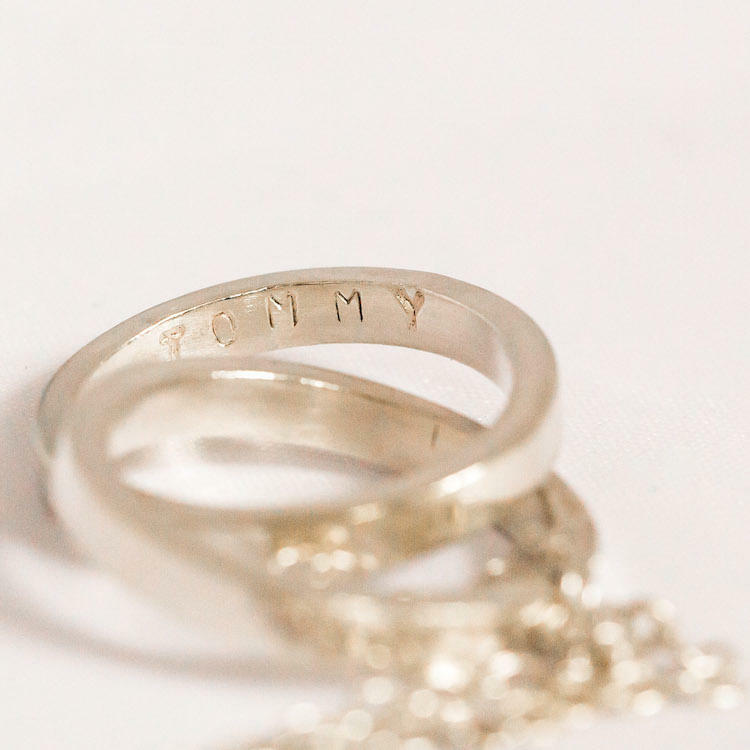 Personalise the inside of each ring from dates, names, co-ordinates or favourite phrases. 15 characters max per ring - Please write the personalisation in the additional information about your order section when filling out your address in the checkout. 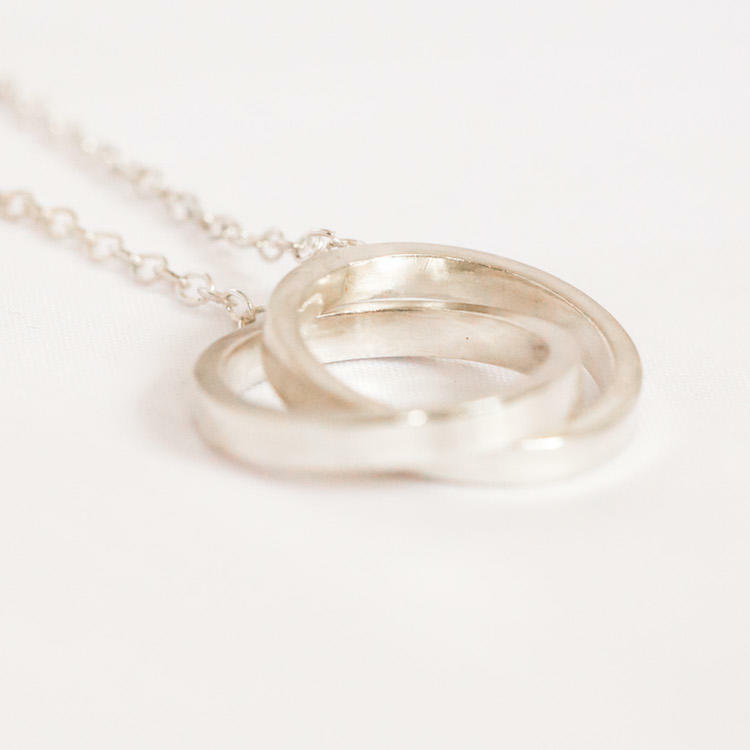 20 inch sterling silver chain, for a custom length get in touch. 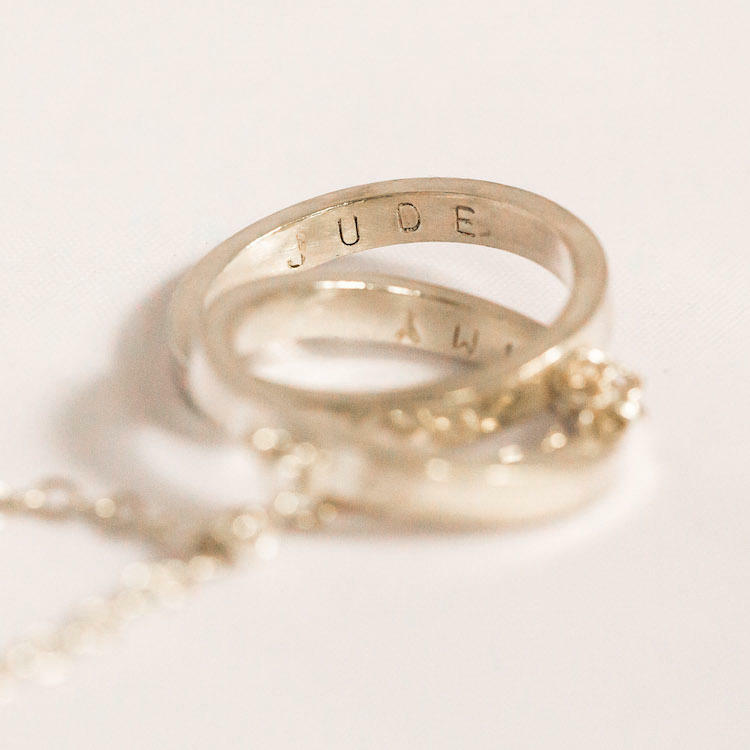 As this necklace is personalised it cannot be returned, however if you have any issues please contact us.